In science fiction we love seeing exotic worlds. One of the most famous is Luke Skywalker’s home planet of Tatooine, a desert world with two suns. While it makes for great science fiction, is it really possible for a habitable world to orbit two stars? 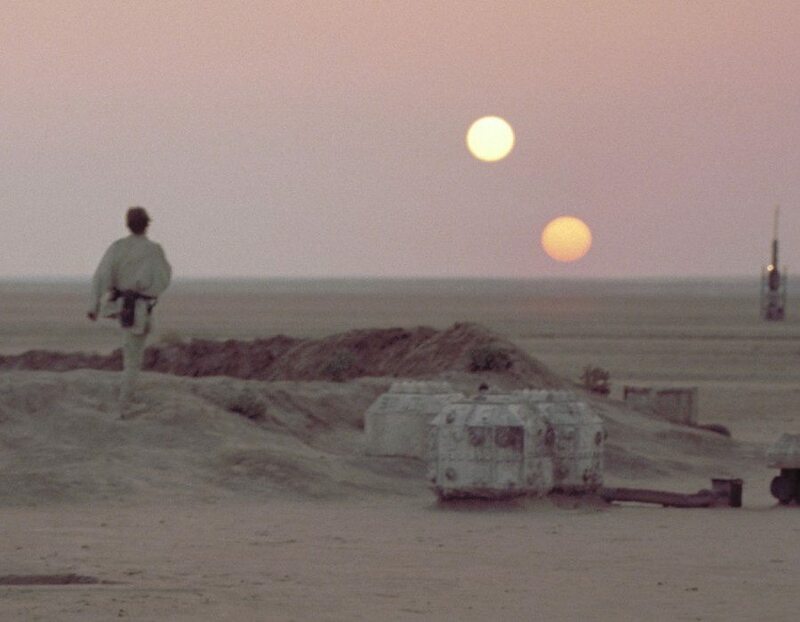 In Star Wars, Tatooine’s two suns are similar in size, implying Tatooine orbits both stars. It has generally been thought that the formation of planets in binary star systems would be problematic. If the two stars were relatively far apart, planets might form close to one star or the other. Such worlds would have two suns, but one sun would dominate the sky while the second, more distant sun would be smaller and dimmer. But in Star Wars Tatooine’s two suns are similar in size, implying Tatooine orbits a close binary system. Planets like Tatooine had been thought to be unlikely, since the gravitational tugs of two stars would likely disrupt any planet formation in the region surrounding both stars. But a few years ago we began to find planets orbiting two stars, and computer models demonstrated that planets could form farther away from a binary system and migrate closer to the stars over time. So far the circumbinary planets we’ve discovered are large gas planets, but there is no reason an Earth-sized world couldn’t have a circumbinary orbit. But would such a world be habitable? Tatooine is portrayed as a barely habitable desert world. The idea being that the heat from two stars would make the planet dry and arid. But new research finds that this would not necessarily be the case. A model of the temperatures for a Tatooine-like world. Credit: Max Popp & Siegfried Eggl. 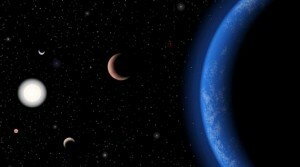 A team looked at a binary system known as Kepler-35. 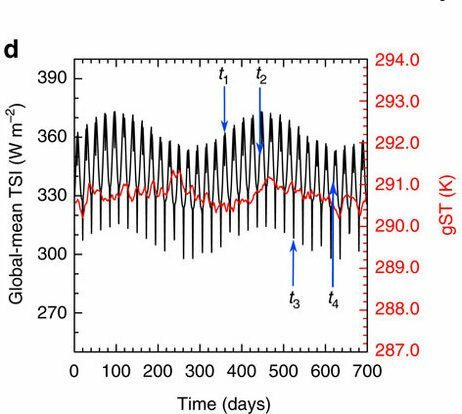 The two stars of this system are fairly Sun-like G-class stars, and system has at least one circumbinary planet that orbits the stars once every 131 days. This planet is about 40 times the mass of Earth, and far too close to the stars to be habitable, but it demonstrates that an Earth-like world could orbit the system at a greater distance. So the team hypothesized an Earth-like world at a more comfortable distance, orbiting the stars once every 340 to 380 days. 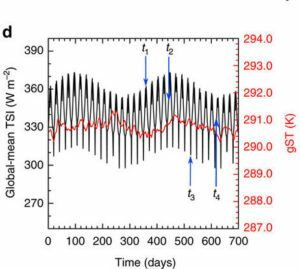 They then modeled the kind of temperature variations such a planet would have. 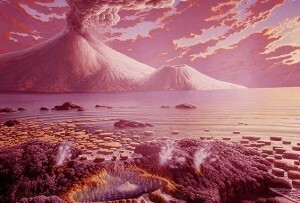 They found that a water-rich world in such an orbit could be habitable. Because of the two stars, the planets orbit wouldn’t be as circular as Earth’s orbit, which would mean a wider variation of seasonal temperatures. But with plenty of water in the air the temperature swings would be moderated. The increased light from the two stars would also mean less cloud cover, which would mean large land regions would be quite arid, similar to desert regions on Earth. So Tatooine-like worlds are at least possible. 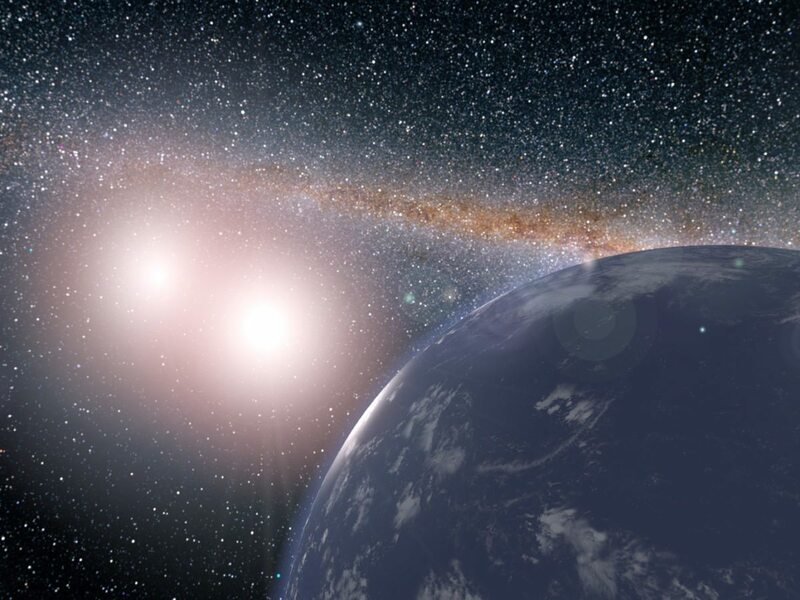 Whether such a world actually exists waits to be seen, but it’s good to note that the search for Earth-like worlds should probably include looking at binary star systems.